Ruling the hemp scene since 2015, Kush Queen is committed to providing premium CBD skincare, lifestyle, and beauty products. Their products range from smokables to topicals, but also include apparel and jewelry. A primarily female-focused CBD lifestyle brand, Kush Queen has an unwavering commitment to education on CBD, innovation in the industry, and quality of their product. All their products are stated to contain 0% THC. Offering a modern perspective to the world on health and wellness, we wanted to put Kush Queen to the test ourselves. For this review, we tried a variety of their products, since they have quite an extensive range to choose from. Let’s dive into our comprehensive review of Kush Queen to see what’s unique about the CBD brand, our experience with their products, and the pros and cons of shopping with the brand. Stick around until the end, too – we’ll have an online coupon code waiting for you if you do decide to shop with Kush Queen after reading through the review. What's Unique About Kush Queen? Kush Queen’s line of hemp CBD skincare and beauty products is quite extensive, so we didn’t get to review everything. We did get to review something from each category at least, though they have quite a wide selection of products to choose from. For example, we got to try to CBD lotion for pain relief but were intrigued by the CBD shower gel, sugar scrub, and lip scrub that Kush Queen also has to offer. 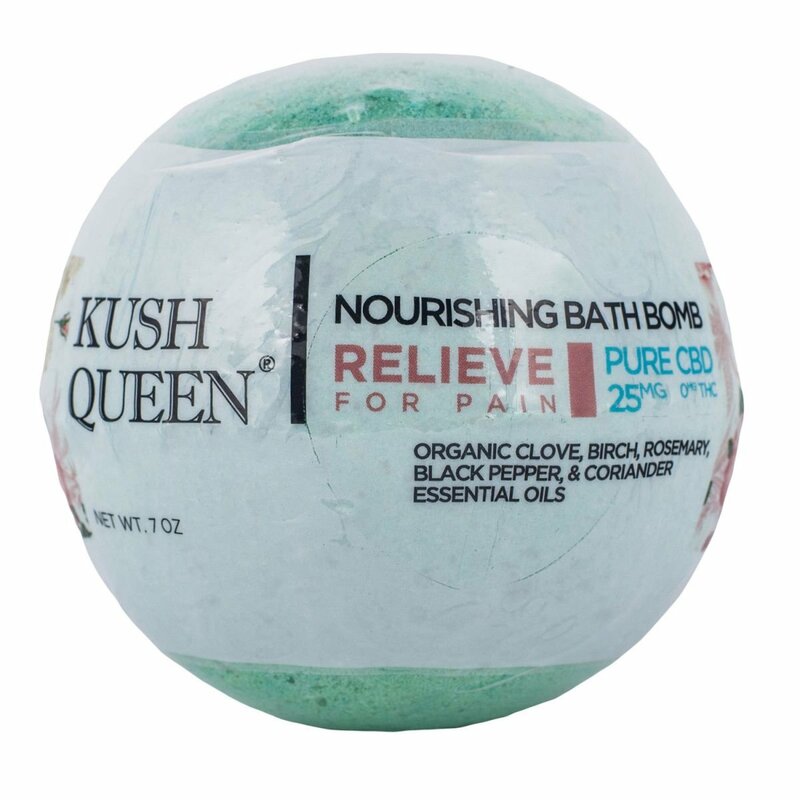 Kush Queen specializes in a variety of skincare and beauty products, including bath bombs. Their variety had us questioning which bath bomb to try first, but we wanted to test out the Relieve CBD Bath Bomb for pain. We’re excited to try other bath bombs in the future, like the ones designed for sleep or to enhance your mood, but the pain relief bath bomb seemed to provide a wave of relief across the body. As we mentioned, we got to try the CBD lotion for pain relief from MELT. Made with a combination of organic aloe, capsicum, menthol, peppermint, chamomile, and 100milligrams of CBD, it’s packed with a perfect formula to promote pain relief and induce sleep easier. I would recommend this more for night time use than throughout the day, though I see there are regular CBD lotions available from Kush Queen that might make solid options for daytime use as well. Its own category on Kush Queen, their ingestibles includes CBD tinctures, gummies, and hemp pre-rolls. Though we only got to try the gummies this time around, we’re looking forward to trying the pre-rolls next time. The tincture, likewise, is a 300mg bottle of pure CBD hemp extract. 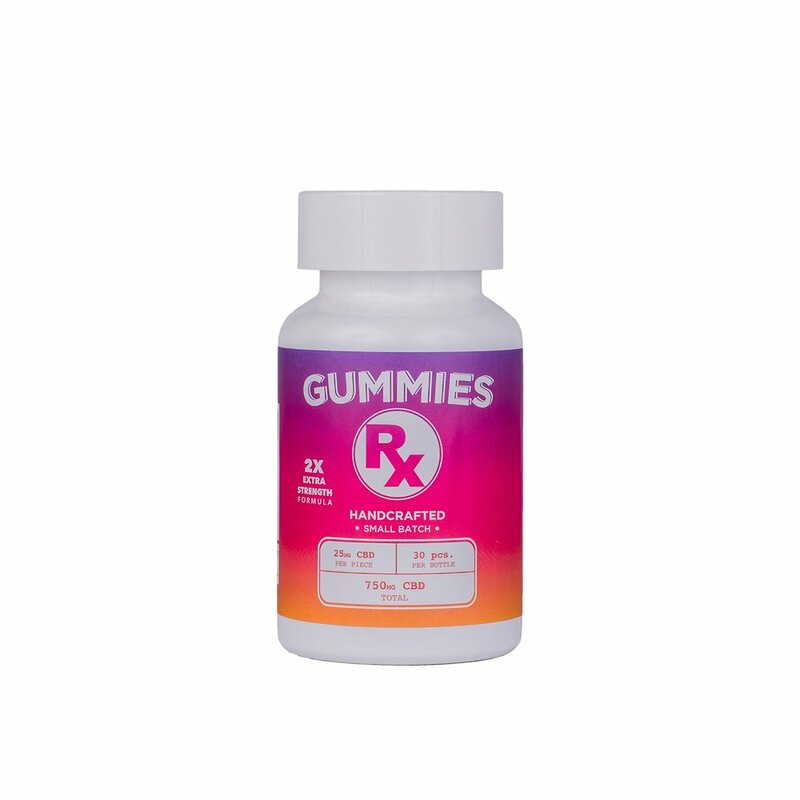 The gummies samples were from the 750mg CBD bottle, which meant each gummy was packed with 25mg of CBD. A unique, gourmet flavor, it was an enjoyable experience that left me feeling more relaxed and at ease. It put me in a better mood for the rest of the day, so I count that as a win! To pay homage to their THC counterparts, Kush Queen came up with a CBD alternative to their original Lit Kit. 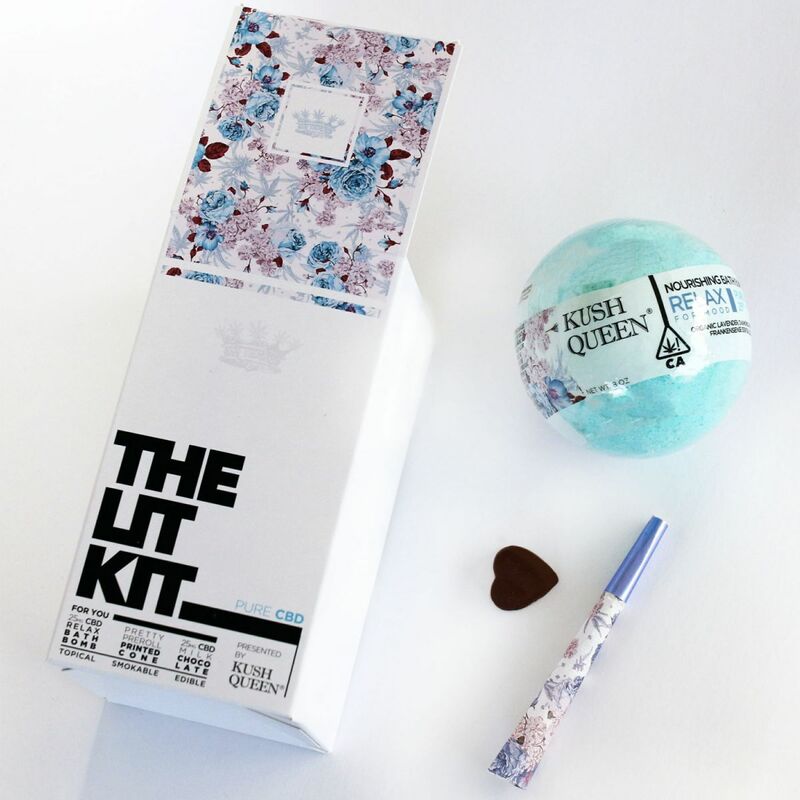 The CBD Lit Kit includes milk chocolate edible that’s packed with 25mg of pure CBD, a pre-roll printed cone to smoke, and a Relax Bath Bomb. Loaded down with essential oils like frankincense, chamomile, lavender, and 25mg of high-quality CBD, the bath bomb alone provides a nice nighttime experience, perfect for a self-care bath before bed. Self-care is hard work, but these CBD kits can make it just a little easier. Disclaimer: The following reviews are made by consumers. Kush Queen has not reviewed and therefore doesn't endorse, support, or approve the reviews or recommendations left by consumers. These statements have not been evaluated by the FDA. Kush Queen products are not intended to diagnose, treat, cure, or prevent any disease. Content advertised on or by CBD Nerds, on it’s website, or any social media platform affiliated with CBD Nerds, is for informational purposes only. CBD Nerds doesn’t offer medical advice and the content accessed on this site is not intended for medical advice, diagnosis, or treatments, and has not been evaluated by the FDA. We recommend consulting with your healthcare professional before using any products recommended on this site. Some links are specifically formatted for which we may receive a commission on resulting sales or clicks from affiliate partners (“Affiliate Links”). If you click on an offer you will be redirected to the partner’s site and your session will be tracked using affiliate cookies.